We are the New England Chapter of The Gesneriad Society. We are a horticultural society formed in 1961. 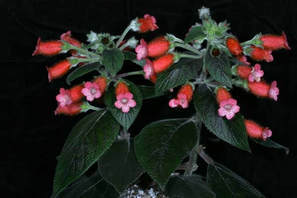 This chapter is a part of the The Gesneriad Society, the international association for people who enjoy growing, hybridizing, funding research, discovering and sharing this family of plants. 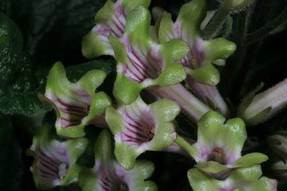 We seek to bring together people interested in learning about, or sharing their expertise in growing the marvelous Gesneriaceae family of plants. This chapter meets the 1st Sunday of the month at the Goodnow Public Library, in Sudbury, MA. We socialize, sell plants or share cuttings, then hold a business meeting and present a program on some aspect of cultivating gesneriads. We also hold a 'Little Show' where a few plants are judged. Click here for our Calendar. Bells and Slippers is our monthly meeting newsletter sent out to our members. We meet from September thru June and hold an annual show and sale in September, a holiday party with a plant-related Yankee Swap in December, and a picnic in June. 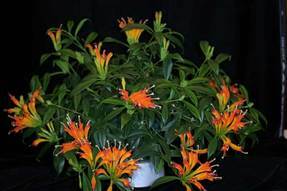 We frequently participate in Massachusetts Horticultural Society and The Gesneriad Society activities and events. For more information about us, contact our NETGS President.